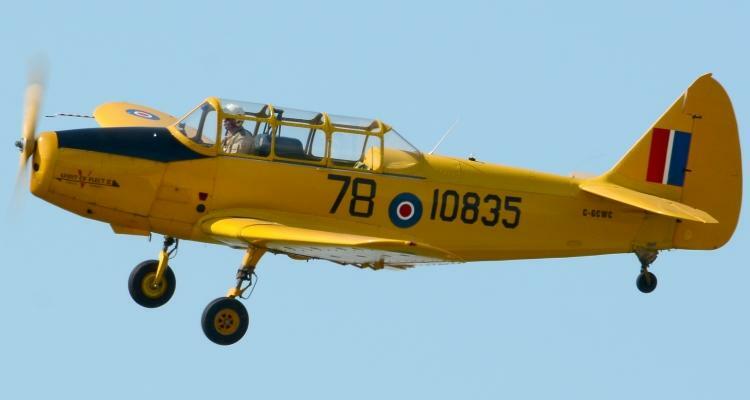 Click on one of the thumbnails below to access the 18 photos of this aircraft. 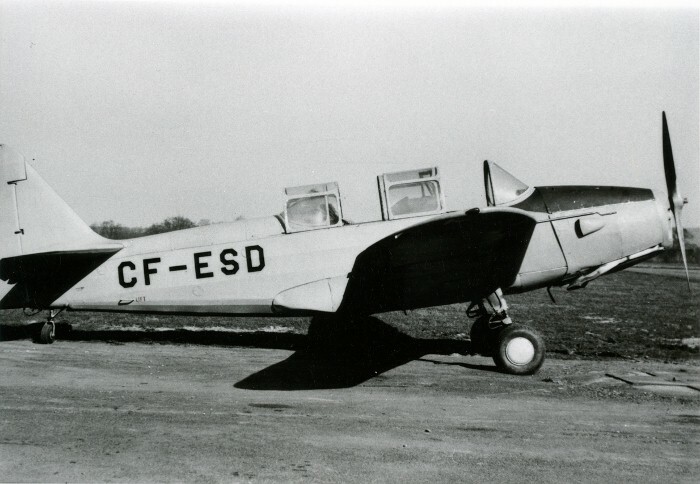 The Museum&apos;s Cornell flew in civilian hands as CF-ESD. 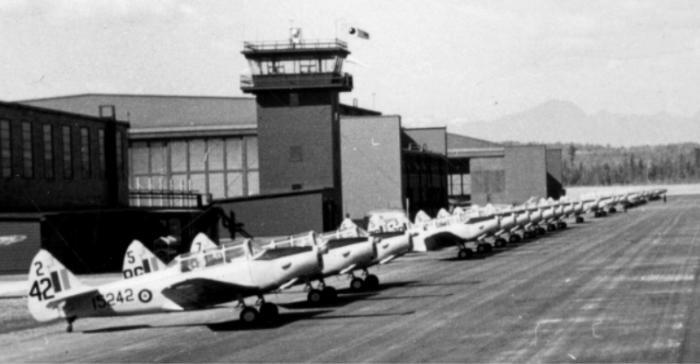 The Museum&apos;s Cornell in 1970 in civilian hands as CF-ESD. The Museum&apos;s Cornell was acquired in 1976 from a farm located near Carp, Ontario. 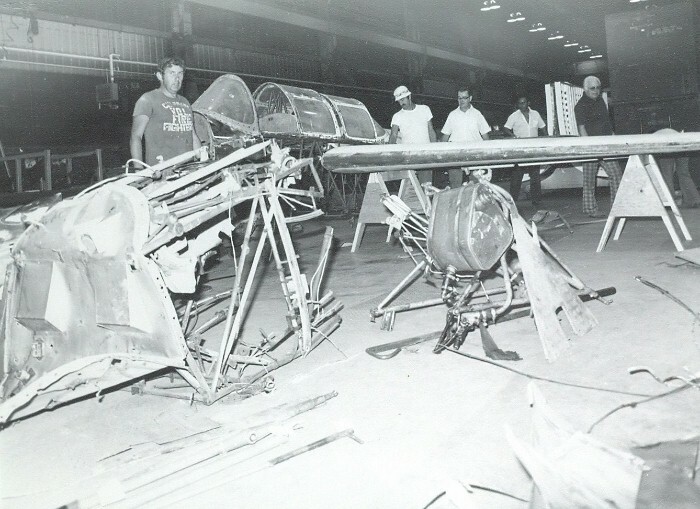 Restoration begins by Fleet Industries employees. Cornell #10835, the "Spirit of Fleet II". 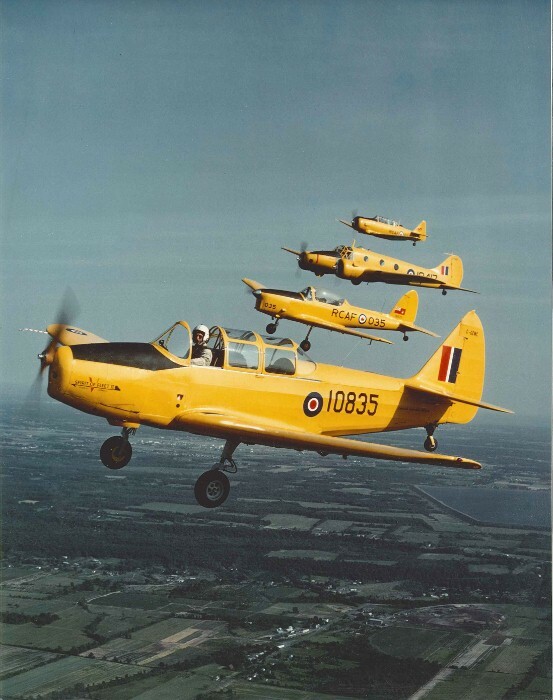 An early eighties formation of the Museum&apos;s training aircraft featuring the Cornell, Chipmunk, Anson and Harvard. 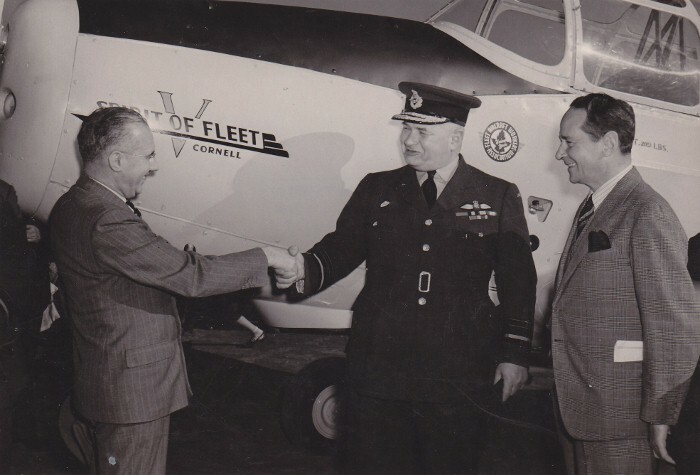 Fleet General Manager, Walter Diesher, handing over the 1,000th Cornell donated by Fleet employees as their donation to the war effort to Air Vice Marshall Breadner with Gibb Mackie looking on. 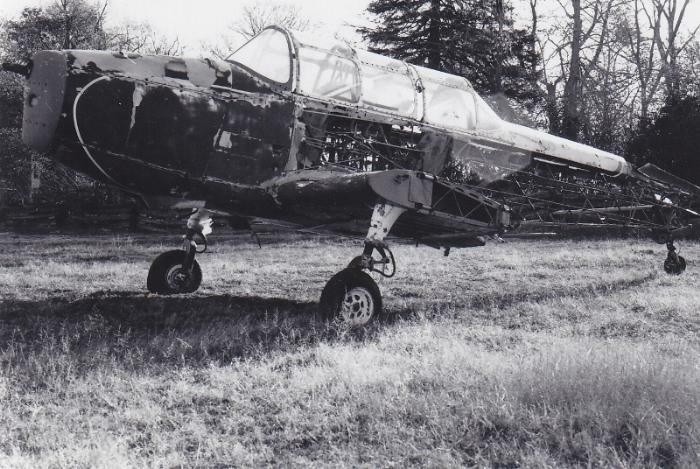 It was named "Spirit of Fleet". 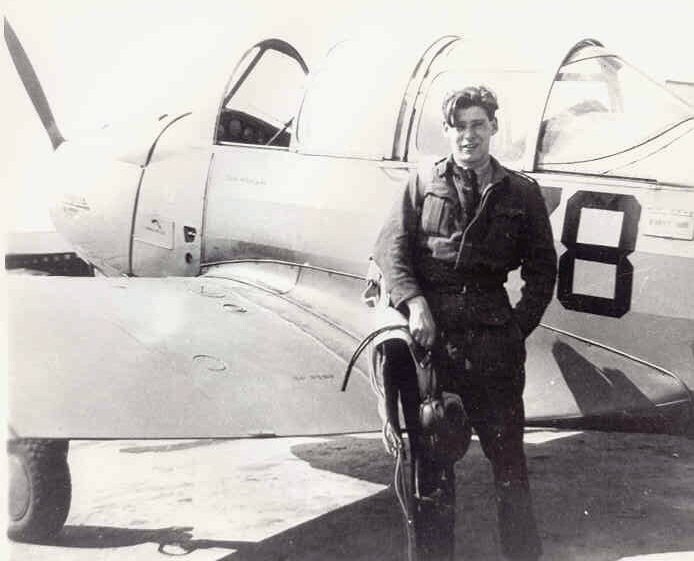 Tommy Williams, Fleet&apos;s test pilot, flying the 1,000th Fleet built Cornell, the "Spirit of Fleet". 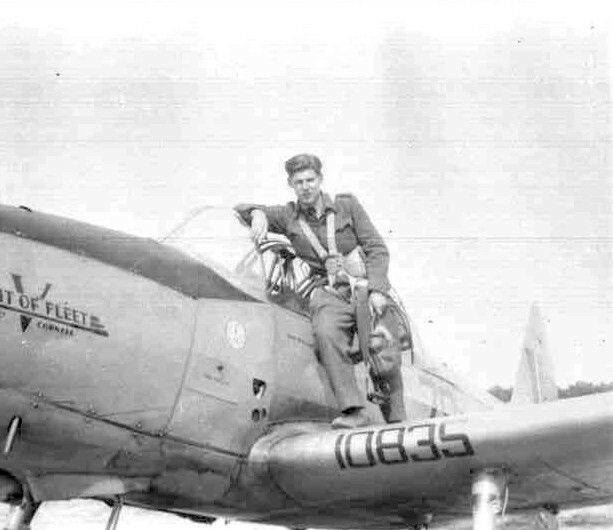 It was donated to the RCAF by Fleet employees on October 21, 1943. 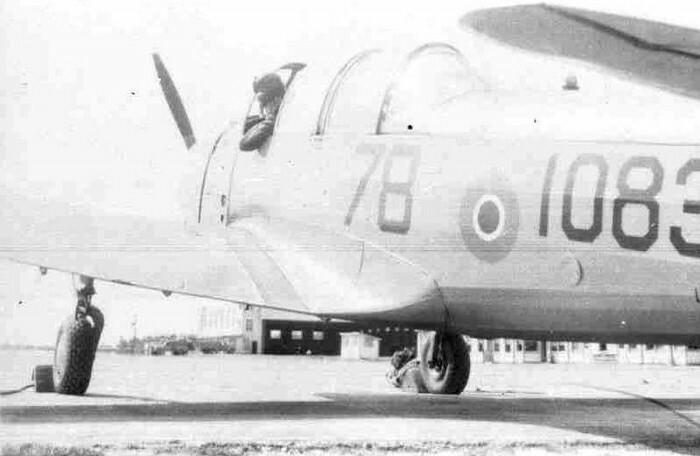 Cornell #10835 while in service with the RCAF. 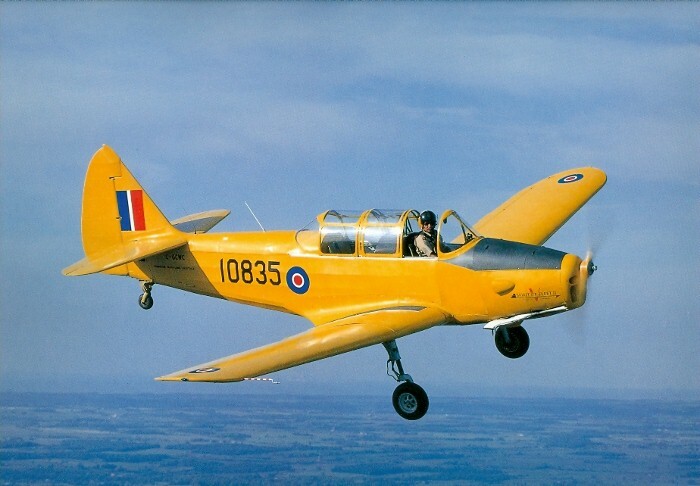 In early 1942, an agreement was signed between the Canadian Government and Fairchild Aircraft, which licenced Fleet Aircraft of Fort Erie, Ontario to construct the PT-26 Cornell in Canada. 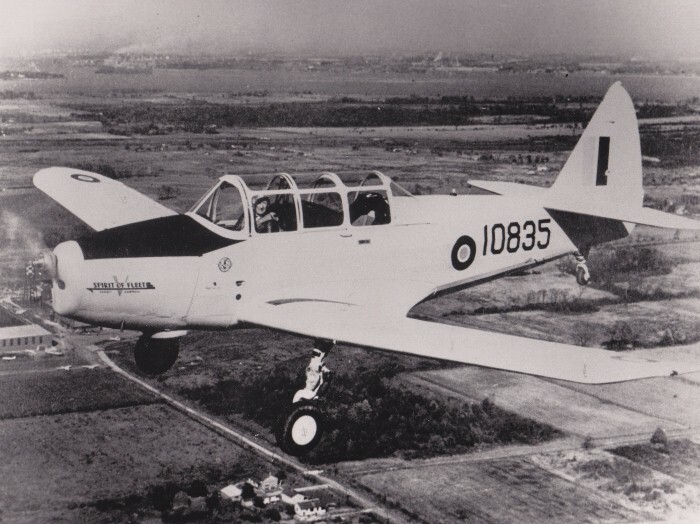 The first 800 Cornells used by the RCAF were supplied from Fairchild, until production commenced at Fort Erie in November 1942. 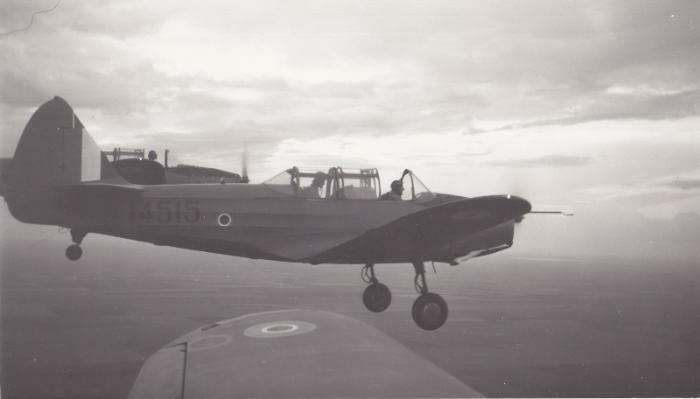 By the end of the war in 1945, 2,853 Cornells had been built by Fleet - 1,565 for the RCAF and 1,288 for the RAF. 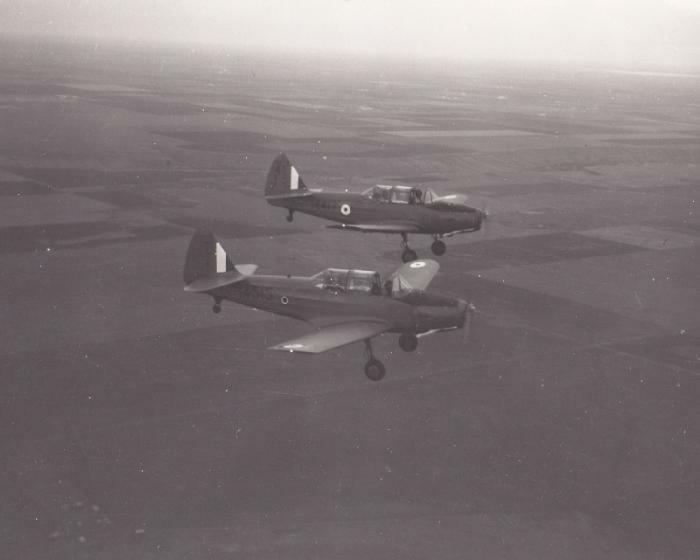 PT-26 Cornells were flown at many of the Elementary Flying Training Schools (EFTS) of the British Commonwealth Air Training Plan, where they replaced the Fleet Finch and the de Havilland Tiger Moth biplane trainers. 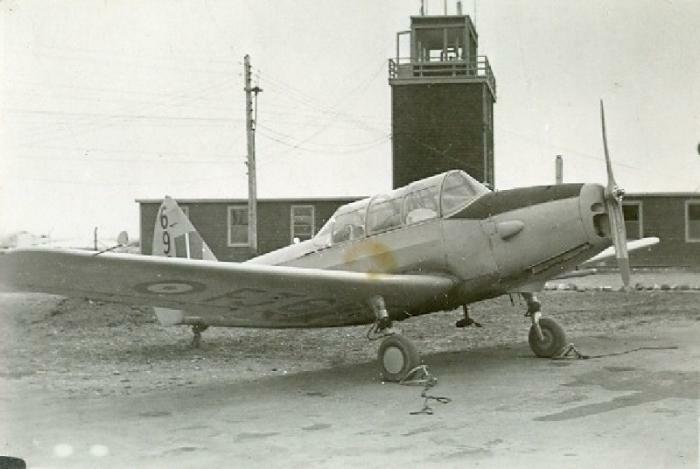 After the Second World War, many Cornells were sold to the civilian market, but some were retained by the RCAF, where they were finally retired in 1948. 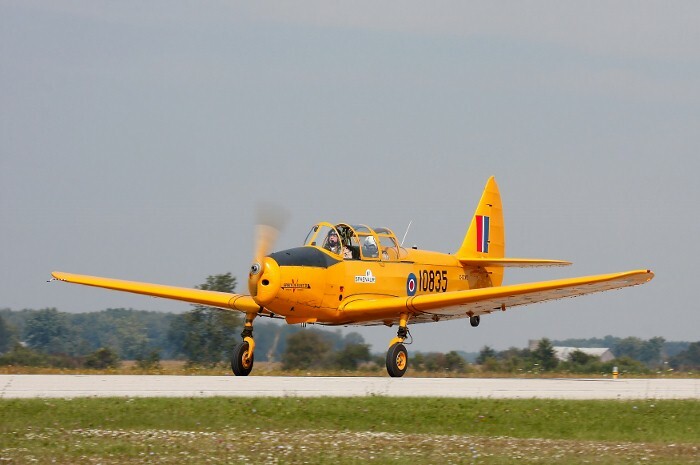 The Museum's Cornell was built by Fleet Aircraft in 1943 and served with No. 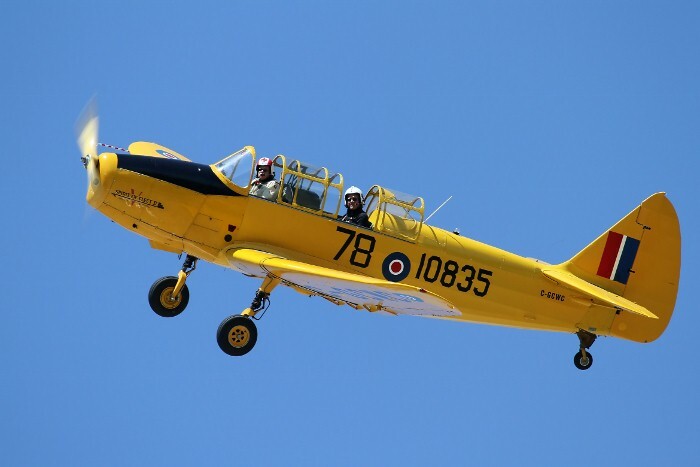 3 FIS, Arnprior, Ontario and No. 11 EFTS, Cap de la Madeleine, Quebec. 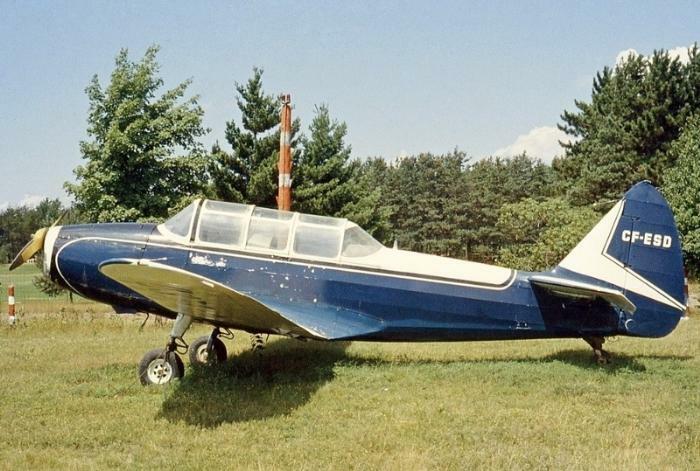 The Museum acquired the aircraft in 1979 and by early 1982 a group of Fleet employees and friends had restored it to flying condition. 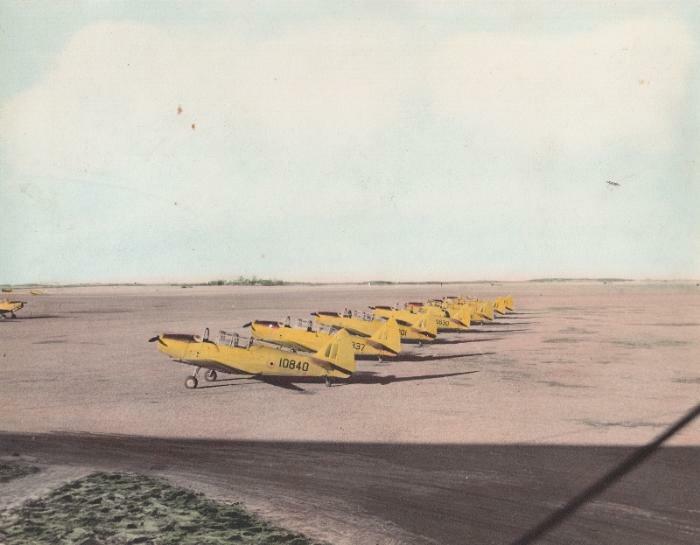 It displays the markings of the 1000th Cornell built by Fleet and is named "Spirit of Fleet II".